Will Liverpool surprise us and clinch a top attacker to bolster the roster this January? We’re not holding out much hope, but the options are undoubtedly there. Last night, the superb Pierre-Emerick Aubameyang handed in a transfer request in his attempt to depart Borussia Dortmund, the Mirror report. The Gabonese plunders goals for fun and is on course to break the 30-barrier for the third consecutive season. Arsenal though are the heavy favourites and want to sign him as direct replacement for Alexis Sanchez, who looks Manchester United bound. 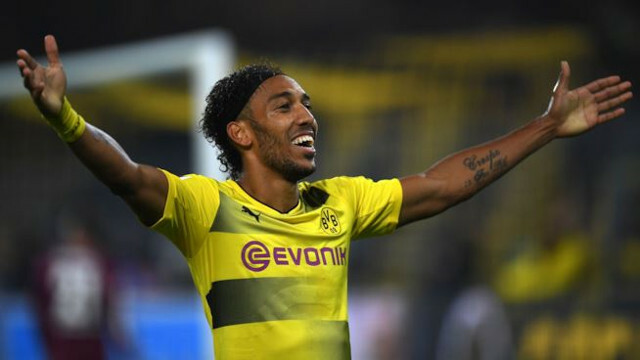 For us though, a forward like Auba would be an exceptional Liverpool coup. Obviously our starting front-three, Sadio Mane, Mo Salah and Roberto Firmino, needs no improvement, but an injury to any of those players significantly weakens us now Coutinho cannot step into the frontline. Auba can also play from the left, meaning Jurgen Klopp could rotate his offence and keep them fresh throughout the second half of this campaign. Right now, if Firmino isn’t available, we badly lack a capable forward, with Dominic Solanke yet to score a goal in red. With the money we have in our coffers, it would certainly be worth considering, with Alex Oxlade-Chamberlain hopefully filling the gap in midfield. In fairness though, we’d prefer Klopp to spend the money on a new keeper.